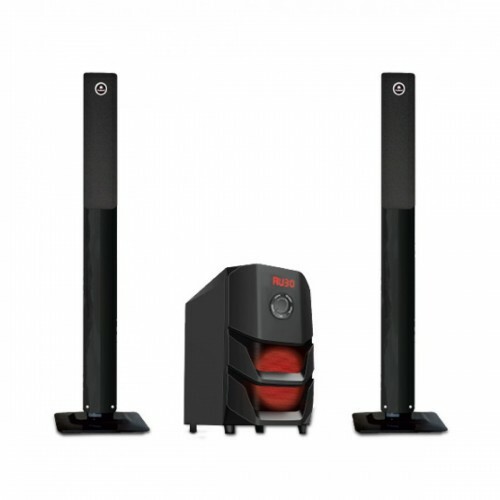 Reborn RB-90 are 2.1 channel speakers, they are especially engineered for high quality sound listeners. It’s stylish and colorful bar shape speakers for LED display with outstanding sound quality and features. USB/SD Card slots allow the user to play any MP3 file directly, Its soft touch button in the middle ,allow user to easily control the volume track, User is allow to manipulate the device to turn the system ON & OFF, adjust volume, skip tracks and navigate your playlist. Also within this, User can also experience and enjoy F.M RADIO on high frequency. 6.5” Sub-woofer provide quality bass sound. 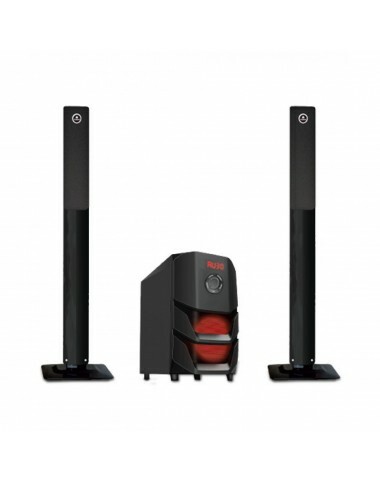 The black vertical bar shaped standing speakers is featured with elegant red fusion lights to make your visual experience perfect.